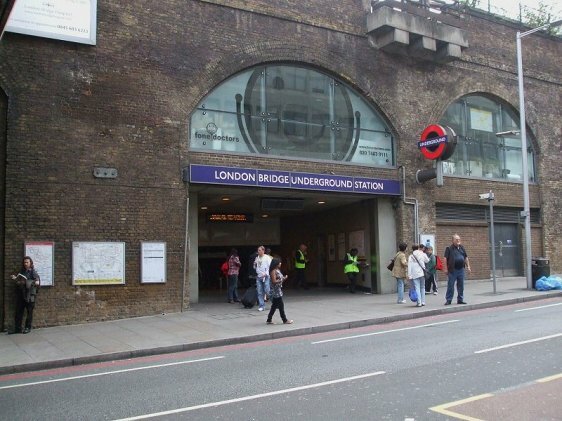 London Bridge Station is one of the busiest railway stations in London. More than 50 million passengers use its services annually, without taking into consideration the number of people that use it to commute between different railways. In case you have business in the capital of the United Kingdom or you simply want to pay a visit to all of those beautiful British symbols, and you arrive on Heathrow Airport, we have provided you at the end of the article some pieces of advice regarding the most convenient means of airport transfer. But let us see what you can do after you arrive in the London Bridge Station area. When it comes to hotels, you have plenty of options at your disposal, ranging from 5 starts accommodations to cheaper ones. Some warm recommendations are: Hilton London Tower Bridge, Novotel London City South and Think London Bridge. They are all at a walking distance from London Bridge Station. This is a very important fact, especially if you depend on public means of transport, as nearby you can also find: Borough Tube Station, Cannon Street Tube Station and Monument Tube Station. There are also plenty of interesting things to do and places to see, that will occupy all of your free time. Museums, sights, cinematographs, theatres, beautiful buildings and much more are to be found in the London Bridge Station area. We would strongly recommend you to try the following: a play at Unicorn Theatre (147 Tooley Street), a coffee at Drum CafÃ© (Glaziers Hall, 9 Montague Close Bridge), a view from The Shard (96 Tooley Street), a lunch at Oblix (32nd Floor, The Shard) and a pint of beer at National Trust: George Inn, The George Inn Yard (77 Borough High Street). In order to get a Heathrow to London Bridge Station by rail, you have the train from Heathrow Airport (every 15 minutes) via Paddington (H&C) (every 5 minutes), Baker Street Underground (every 5 minutes) and then just have a 2 minute walk. This whole journey takes about 37 minutes. Another option would be to take the Tube from Heathrow Airport Term 1-3 (every 10 minutes) via Green Park Underground Station (every 5 minutes) and then enjoy a short walk of 2 minutes. This journey will take about 55 minutes. The third option would be to take the bus from Heathrow Central Bus Station (every 60 minutes) via St James’, Trafalgar (every 15 minutes) and then simply walk for 2 minutes. A Heathrow to London Bridge Station Transfer by car can be done by taking the M4 motorway and then the A4 one. Heathrow Airport is at a 19.7 miles distance from London Bridge Station. This journey will take about 41 minutes, without including traffic. A Heathrow to London Bridge Station Taxi with 247 Airport Transfer is going to take about 59 minutes, including rush hour traffic. The price for a Heathrow to London Bridge Station Taxi starts from 44 GBP..